I finally managed to get myself an iPad. I thought I would feel differently. I thought I would enjoy having this little device halfway between my MacBook and my iPhone. I was not prepared to fall in love with a 7.9″ tablet. There are far more professional reviews of this iPad on the Internet. I’m not going to cover what has been covered already. However I want to touch on a number of issues with the iPad mini that feature strongly within the majority of reviews I have read. The first issue is that this device does not have a retina display. The display of the iPad Mini is lovely. It is a pleasure to behold for hours and hours. (You get at least ten hours with this baby.) When it is playing a HD movie, the quality is great. I take issue with the letter boxing of widescreen films – but this is not the display’s fault. The display does a great job. At no point have I thought, “Omigod I can see all the different pixels around these letters! This is ruining my iPad experience!” Not once have I thought this. Honestly. The iPad Mini has an A5 processor, which is a whole number less than the chip being used in the iPhone 5 and the fourth generation iPad. The Mini is a snappy little device and loads apps happily and comfortably in a very short time. There was a time when I would be able to go and make a hot chocolate in the time it took for Microsoft Word to load up on my PC when I was young. Let’s not be dramatic about the processor speed of the iPad Mini, I can handle waiting maybe five seconds for the Pages App to load. 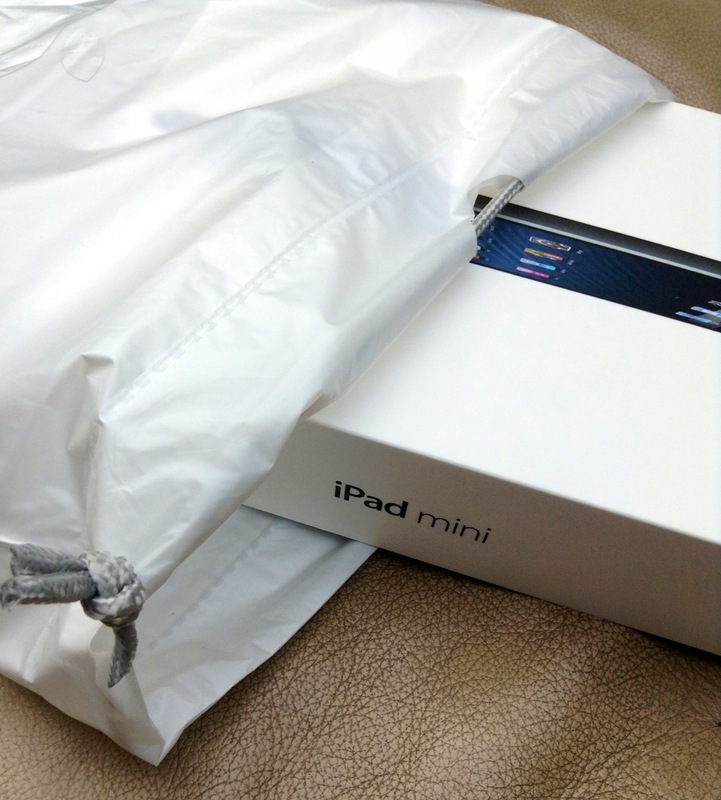 Before I purchased my iPad Mini, I read the reviews and I immediately had all the reservations that reviewers pointed out – lack of retina, A5 chip. After nearly a month of using the Mini these reservations are all forgotten. What makes the Mini fantastic, straight out of the box – is the weight. This thing is light and it is comfortable to hold for hours. I have barely touched my laptop since the iPad Mini in my life and when I do pick up my laptop, it is with a “oof” noise. That thing is hefty. Operating the iPad Mini is a pleasure. Every swipe and tap is registered with ease. The Design of the Mini, complete with narrow edges to the left and the right of the screen does not impede using any app and I’ve used every kind. I’ve played various games, read various magazines, flipped through comic books, drawn with my fingers, written with a stylus and I am now typing this post. The smaller size and the altered design will not affect the use of the iPad. Truly, the little beast can do everything its big brother can do. This entry was posted in Geek, Technology and tagged Apple, iPad, iPad Mini by Jonathan Day. Bookmark the permalink.